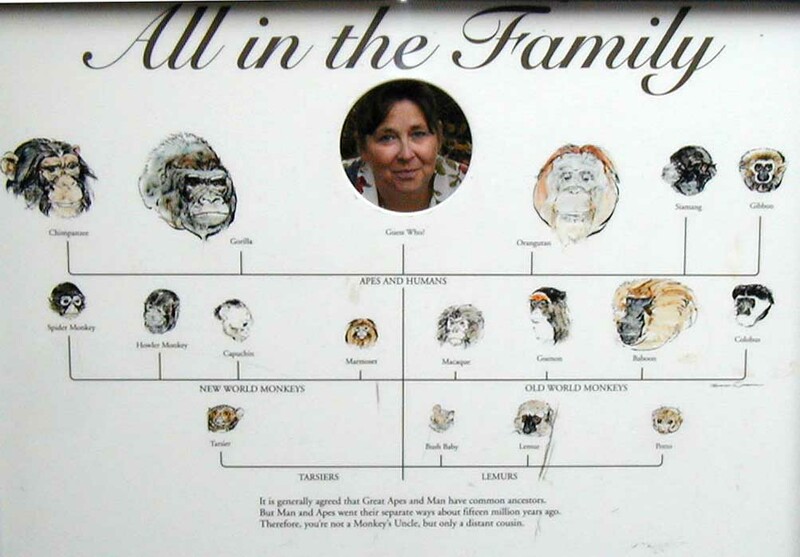 Click on the thumbnails to see a larger picture. Use your browser's back button to return here. 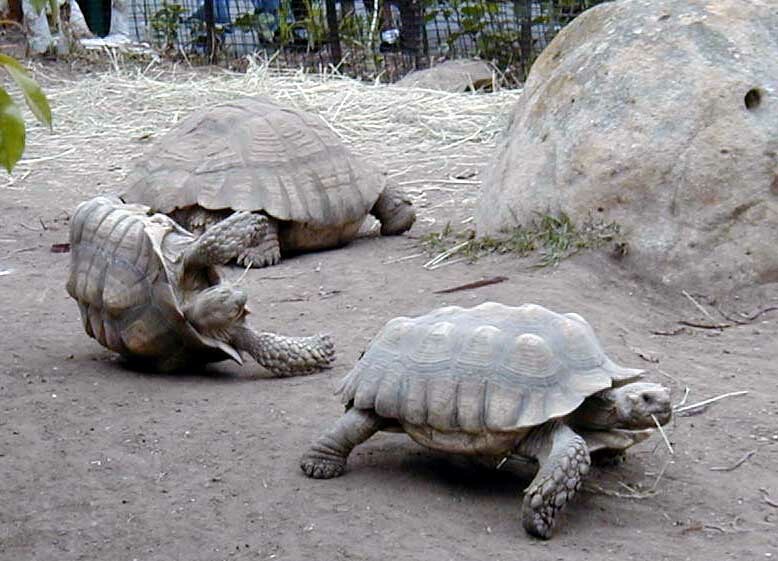 A tortoise with a problem: He got flipped in an altercation with another tortoise. 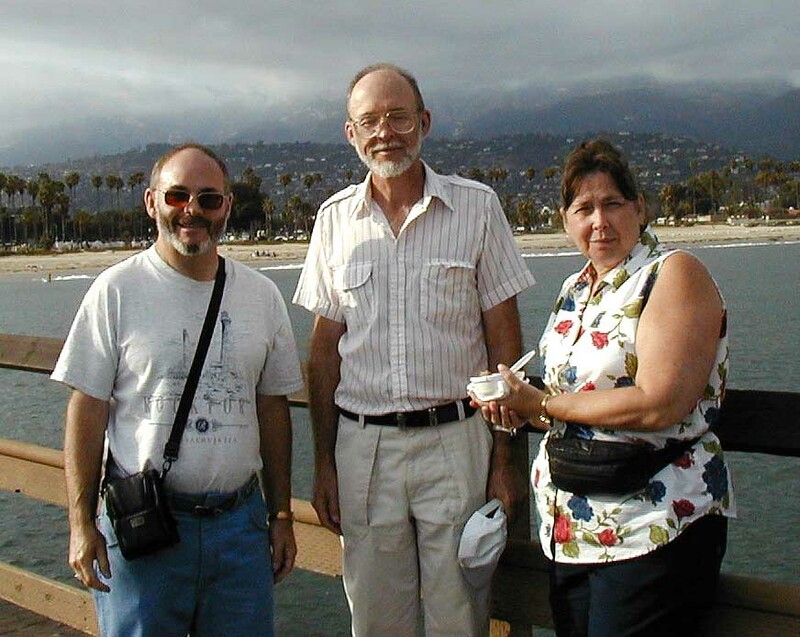 Here we (Dave, Allen & Bev) are on the Santa Barbara pier with the city behind us. 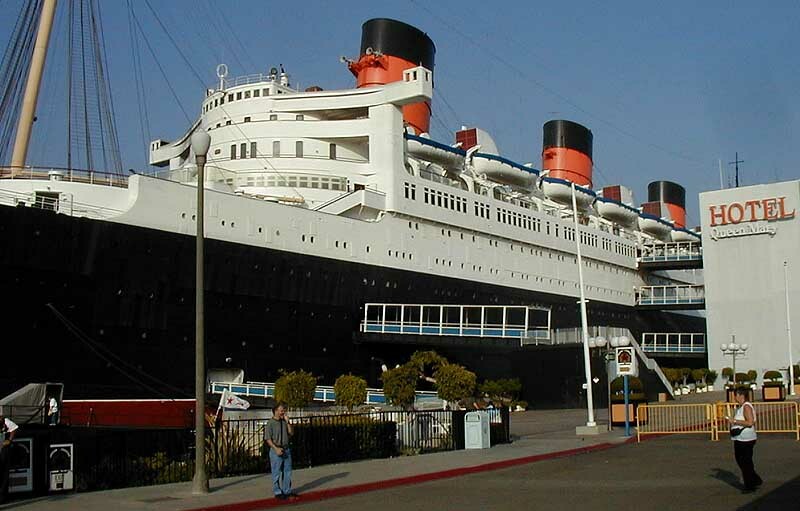 Dave & Bev check out the Queen Mary. 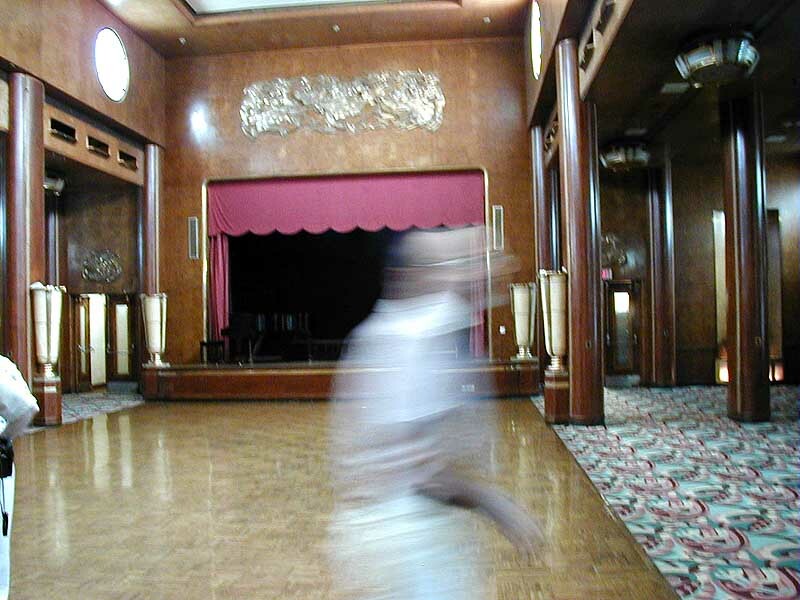 One of the Ghosts of the Queen Mary. 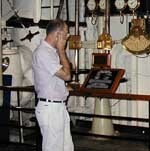 Allen checks out the engine room gages. 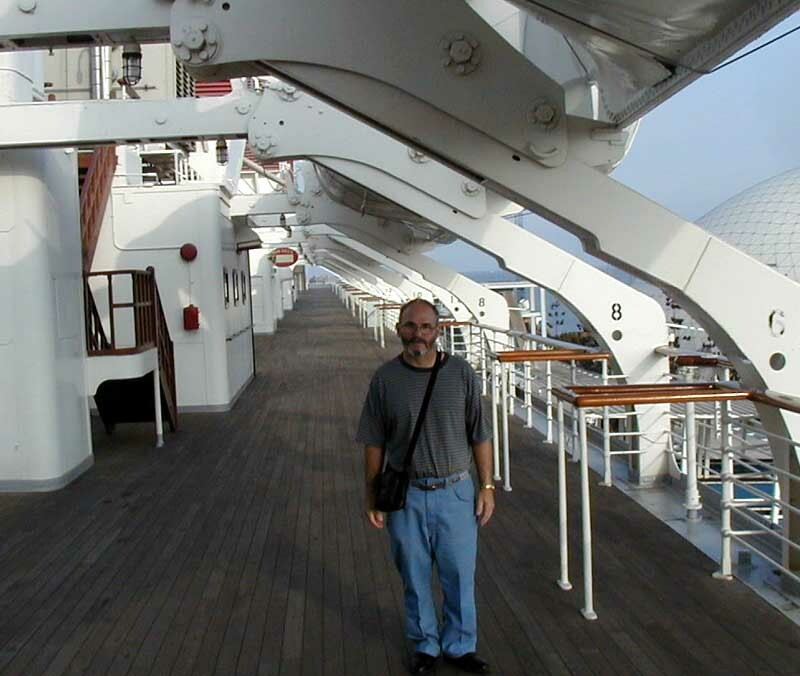 Dave on Deck on the Queen Mary. 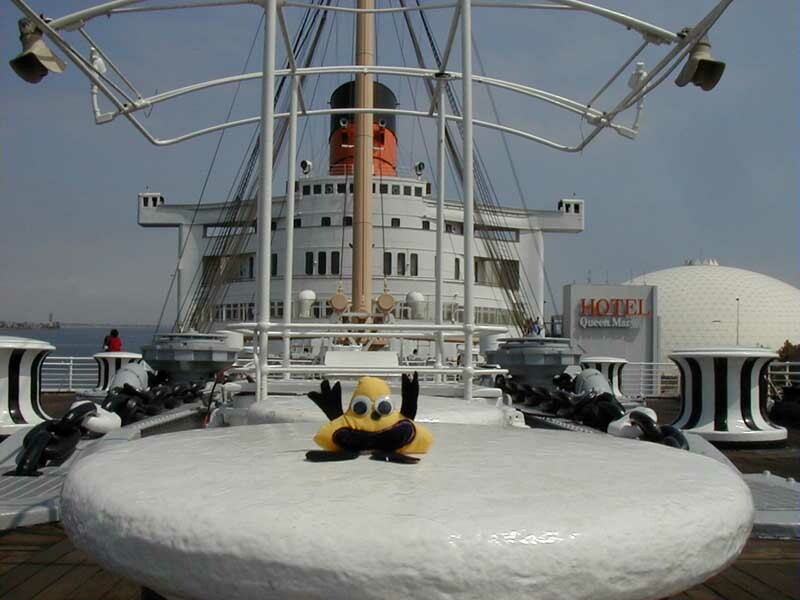 Harvey sitting on a Queen Mary capstan. 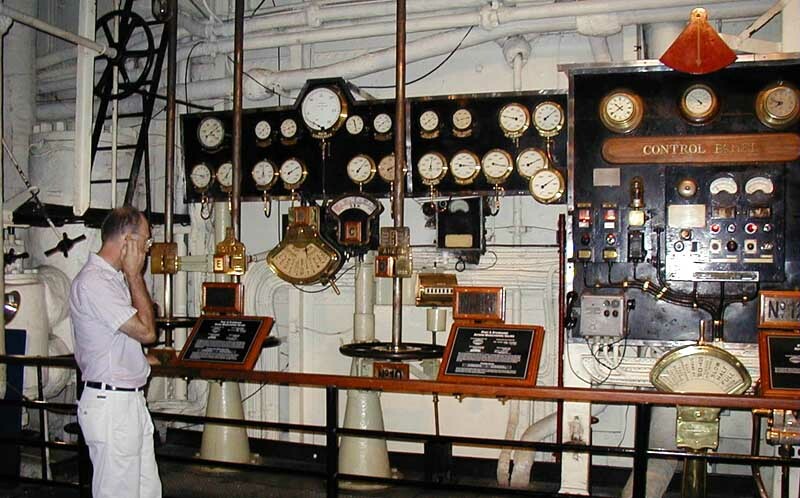 The torpedo room of a Russian Foxtrot Class Submarine. 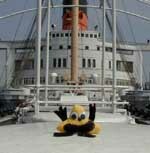 The sub - named Scorpion - is on display alongside the Queen Mary. 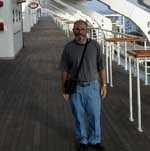 At the Magic Hall of Fame. 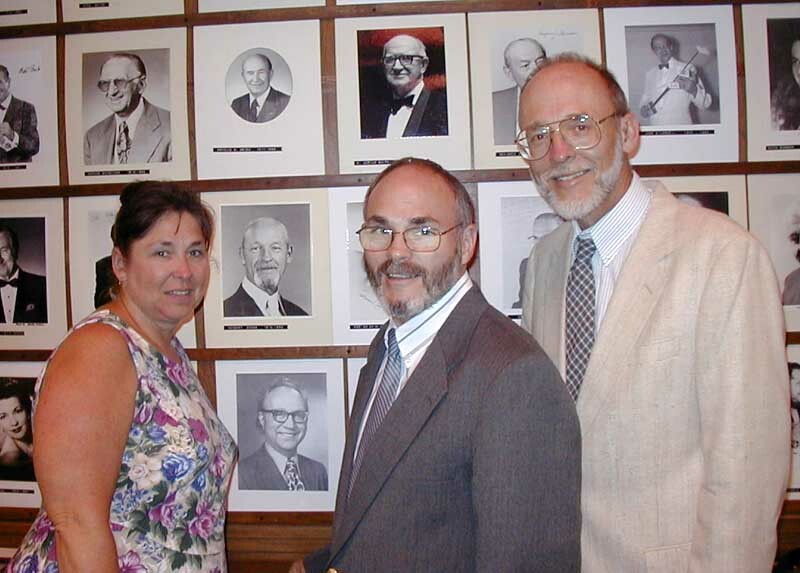 Bev, Dave, and Allen with Dad's picture. 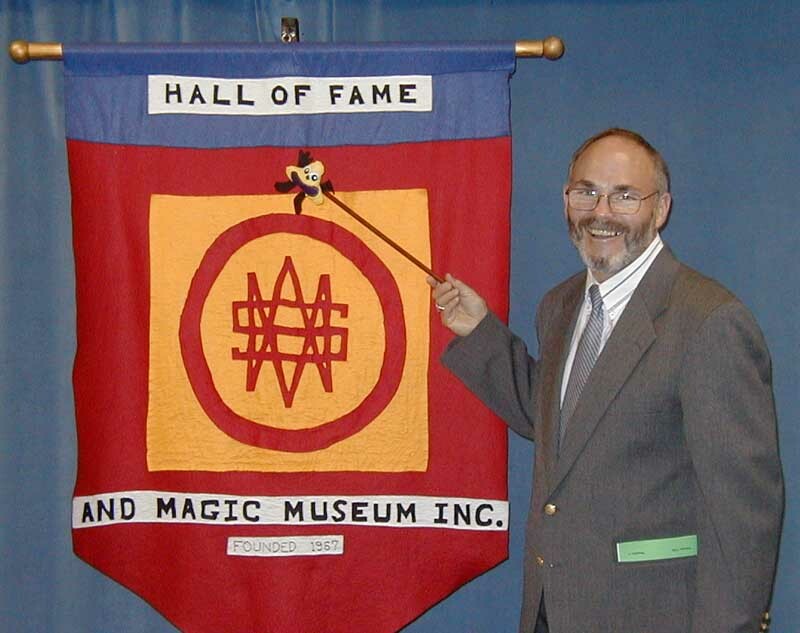 Dad is a member of the Magic Hall of Fame. 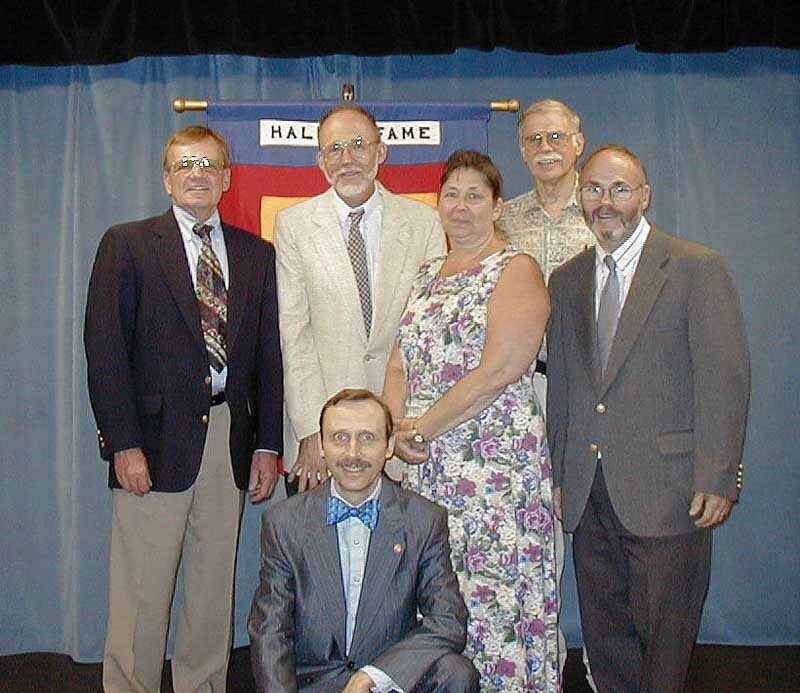 Harvey Glump and Dave with the Magic Hall of Fame banner. 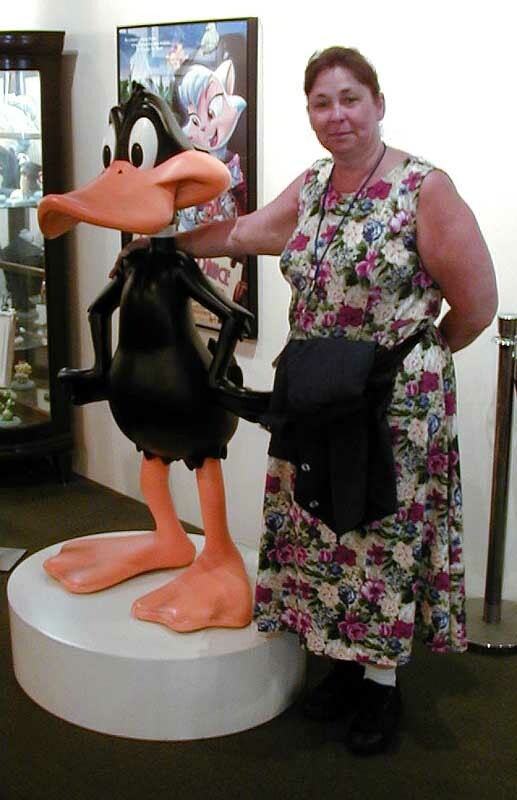 Daffy Duck with Bev at Warner Brothers Studio.